The Kalaloch Campground is Olympic National Park’s most famous campground. At Kalaloch, visitors can camp directly on the beach and watch the sun set on the Pacific Ocean. Book Online. 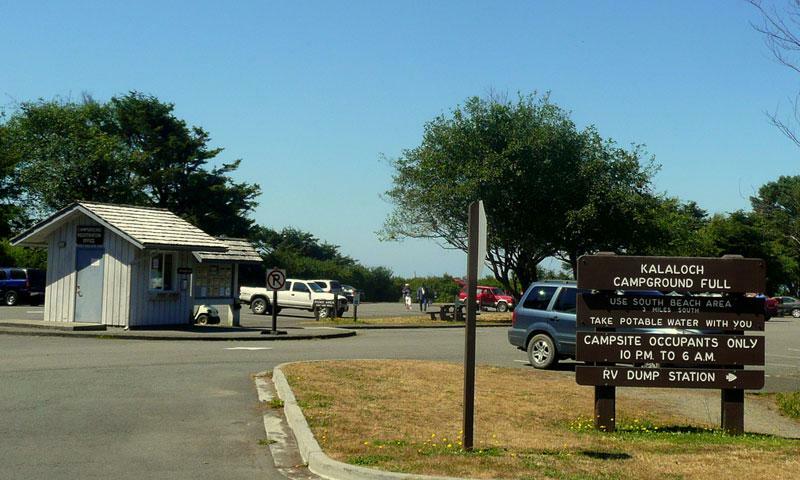 Where is Kalaloch Campground located? Kalaloch Campground is directly on Olympic Highway, WA-101, 30 minutes south of Forks, Washington. How can I reserve a site at Kalaloch Campground? For camping between June 21 - September 23, Book Online up to 6 months ahead. The rest of the year: first come first serve. Tell me more about Kalaloch Campground.